Workshop participants rank this segment their least favorite. I’m not sure why. Maybe fear of intimacy inhibits confronting the question on a personal level. It could be because it needs a more coherent and compact presentation. Maybe it’s because the topic comes right before lunch. Whatever the cause, I am hopeful that Across Traditions reader feedback will help me to improve it. 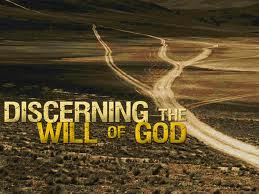 To that end, the next several posts will trace Four Steps to Discerning the Will of God. Before jumping into the steps, though, it might be helpful to establish some groundwork relating to what, exactly, we mean by the “will of God.” When my daughter was in second grade, we undertook learning the Anglican “Outline of the Faith,” or catechism, as a rather ambitions Lenten discipline. The catechism has 18 sections of 6-10 question-answer pairs each. 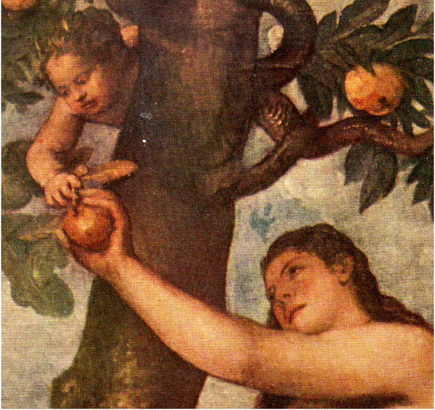 The first section addresses human nature—being made in God’s image, created with free will, etc. On that first night of study, when we got to, “Why do we [choose to] live apart from God and out of harmony with creation?” she interrupted. “How do you know what God wants you to choose?” “Well, let’s see what the catechism has to say about that,” I replied as I started flipping through the pages. I’ll have you know that in 124 questions, the catechism has nothing to say about that. It’s the $64,000 question. And answers vary widely. How I conceptualize the will of God depends on my conception of God’s nature. Is God a giant watch-maker in the sky who scripted every detail of physical universe’s unfolding? That framework of belief suggests that there is a particular path intended for me. Is God a relational being who cedes his power for the gift of free will? That framework of belief suggests there are many right paths. The Bible suggests that, also. “All the paths of the Lord are mercy and truth unto such as keep his covenant and his testimonies.” (Ps 25:10) If I believe in a free-will God who delights when I choose him, the right paths are countless! Ok, so I believe the will of God is to be in relationship with me and he wants me to be fruitful, but that doesn’t help me choose a career path or a spouse. I make choices every day, and most don’t seem to have anything to do with God. What does choosing God’s will” mean in my daily life and work? This series will explore four specific steps for discerning God’s desires on an individual and intimate basis. Join the conversation. Do you perceive the will of God to be providential, predetermined, a set of commandments or something else entirely?